Brian R. Bezark is co-founder and Managing Partner at Bezark Lerner & De Virgilis. 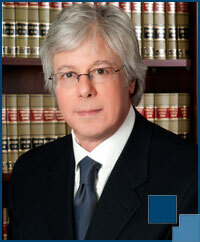 He has 40 years of experience specializing in personal injury law. After receiving his J.D. 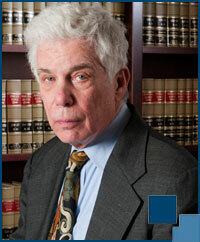 degree from Temple University School of Law in 1969, Bezark became partner at Astor, Weiss and Newman in Philadelphia. In 1986, he co-founded Bezark & Lerner to cover all aspects of personal injury law with a focus on auto, motorcycle and truck accidents; workplace injuries; slip and fall accidents; medical malpractice; nursing home negligence and death claims. In addition to practicing personal injury law, Bezark handles wills and estates. He is a member of the Pennsylvania and Philadelphia Bar Associations, Pennsylvania and Philadelphia Trial Lawyers Associations and is licensed to practice in Pennsylvania . Eric I. Lerner is co-founder and partner at Bezark Lerner & De Virgilis and has specialized in personal injury law for over 30 years. He is a member of the Pennsylvania and Philadelphia Bar Associations, Pennsylvania and Philadelphia Trial Lawyers Associations, and the Association of Trial Lawyers of America. Lerner also serves as Judge Pro Tem for the Philadelphia Court of Common Pleas. Lerner received his J.D. degree from the University of Tulsa in 1978 after earning a bachelors degree from Temple University. Prior to forming the current firm, he co-founded Bezark & Lerner where he was partner and Head of Litigation for over 30 years. Lerner is licensed to practice law in Pennsylvania. He is also admitted to practice pro hac vice in New Jersey, Virginia, Florida, and Nevada. In 2005, Lerner was lead counsel in a medical malpractice case in which a patient died as a result of complications from gastric bypass surgery. The case was resolved in the familyâï¿½ï¿½s favor with a $4 million settlement. A Philadelphia jury awarded $4.3 million to the family of two people who were fatally injured in a head on automobile collision. A $9 million settlement was reached prior to trial in a Florida truck accident in which the driver of a tractor-trailor failed to observe a stop sign resulting in the death of a local physician. A slip and fall case involving a woman who suffered severe ankle injuries from a fall on a ramp at a shopping mall resulted in a $900,000 jury verdict in Philadelphia County. A $1.3 million settlement was obtained in a case of a patient who died as a result of a misdiagnosed heart condition. John De Virgilis is co-founder and partner at Bezark Lerner & De Virgilis. Prior to founding the firm, he was a partner in the law firm of Silver, Miller and De Virgilis for over 30 years specializing in commercial litigation as well as complex personal injury representing individuals injured as a result of auto accidents, defective products and slip and fall accidents. He also practices all aspects of family law including complex divorce, child custody and support matters. John has been appointed arbitrator and mediator by the Court of Common Pleas and the Federal District Court for Eastern Pennsylvania. He was previously counsel to the First Judicial Court of Common Pleas, Municipal Court. 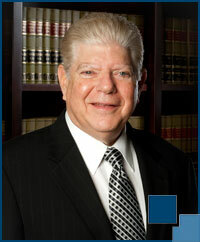 He received his law degree from The Widener University School of Law. He received his undergraduate degree from La Salle University and attended graduate school at Villanova University. Stuart A. Winegrad is Senior Associate at Bezark Lerner & De Virgilis, licensed to practice in Pennsylvania and New Jersey. He earned a joint J.D./M.B.A. degree at Widener University School of Law in 1995 and began his legal career at Dashevsky, Horwitz, DiSandro, Kuhn and Novello in Philadelphia. 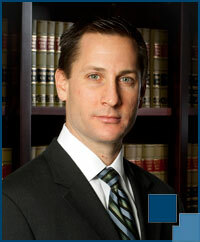 In 1997, he joined Bezark & Lerner as Senior Associate and remains with the firm as Bezark Lerner & De Virgilis. Winegrad has over 14 years of experience handling commercial litigation, real estate transactions, personal injury and workers compensation cases. He has appeared before numerous trial level Courts in the Commonwealth of Pennsylvania and State of New Jersey as well as the Federal District Courts in both the Commonwealth and New Jersey, and has been successful in appellate level administrative law decisions. Winegrad has argued before the Pennsylvania Superior Court. He serves as counsel to a large international bank handling foreclosure and commercial cases in Pennsylvania and New Jersey. Winegrad is a member of the Pennsylvania and Philadelphia Bar Associations, Pennsylvania and Philadelphia Trial Lawyers Associations, and the Association of Trial Lawyers of America. He also serves as Judge Pro Tem for the Philadelphia Court of Common Pleas. Bruce W. Miller is of counsel to Bezark Lerner & De Virgilis specializing in personal injury, products liability, workersâï¿½ï¿½ compensation and criminal defense matters. 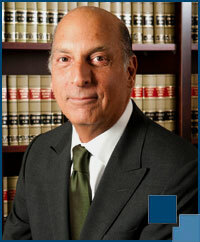 Bruce has litigated hundreds of civil cases obtaining six and seven figure awards and settlements. In addition, he successfully tried hundreds of criminal defense cases including several first degree murder cases. Bruce was founding partner of Silver, Miller & De Virgilis. Prior to that, he was trial attorney for Manchel, Lundy & Lessin. His career also includes a role as law clerk to the Honorable Joseph Gold, President Judge of the Court of Common Pleas of Philadelphia County. Bruce has received his undergraduate degree from the University of Pennsylvania Wharton School and his J.D. from Temple University School of Law. Complete the fields below to receive a quick assessment of your case. All fields are required. The information you obtain at bldvlaw.com is not, nor is it intended to be, legal advice. You should consult an attorney for individual advice regarding your own situation. Copyright © by Bezark Lerner & De Virgilis P.C. All rights reserved. You may reproduce materials available at this site for your own personal use and for non-commercial distribution. All copies must include the above copyright notice.